Every year, 1.5 billion tires reach the end of their life. The vast majority get dumped or incinerated, releasing massive amounts of CO₂ and destroying highly valuable resources. To solve this waste tire problem, Black Bear has developed a unique carbonization process to transform used tires into recovered carbon black. The company has now successfully closed a growth funding round of 11m (US$12.8m) to refine the environmentally friendly process and to start the worldwide roll-out of the technology. Four new partners have become stakeholders: Dutch banking corporation ING Group; two Netherlands-based investment firms, 5square and Social Impact Ventures; and Thailand-based conglomerate SCG. “This new consortium means much more than just fresh capital, they are strategic partners, who will play a key role in the development of our technology and speed up our international roll-out,” said Black Bear CEO Martijn Lopes Cardozo. 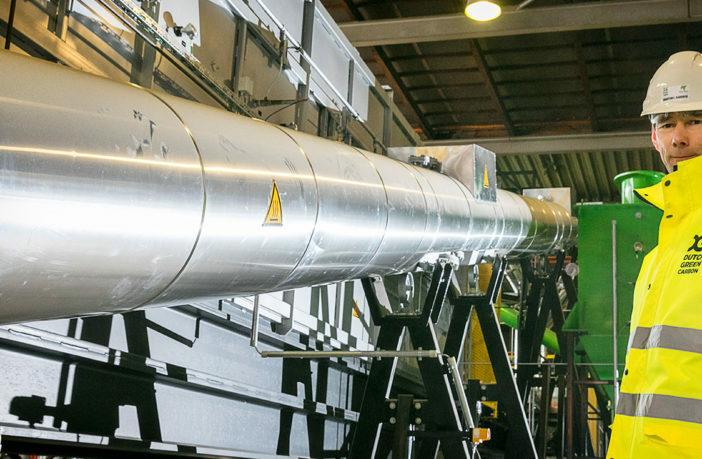 Black Bear’s industrial-scale prototype plant is located in Nederweert in the Netherlands. It is capable of processing more than one million waste tires annually, producing 5,000 tonnes of carbon black, 5,000 tonnes of bio-fuel, 3,000 tonnes of steel and 1MW hour of green electricity. The plant is operated in partnership with Kargro, one of Europe’s foremost recyclers of tires. Mark Weustink, director of the corporate investment team at ING Group, said, “It is remarkable that Black Bear is capable of making old tires into a very high-value product that can replace a polluting raw material.